About — E-Z Systems Inc.
Quality products and customer service are our top priority. For more than 25 years, E-Z Systems® has advanced animal research equipment. We have worked with veterinarians, scientists, research technicians, and facility managers to create our top-of-the-line equipment. We pride ourselves on quickly responding to our customers’ needs and finding innovative solutions. E-Z Systems’ superior customer service ensures that we will support you and your equipment long after the warranty expires. The E-Z Anesthesia® line was first introduced in the early 2000s. It was created with the help of veterinarians at Temple University. The veterinarians recognized a need for a rodent specific inhalant anesthesia machine. Thus the EZ-Anesthesia system was born. In addition to an entirely new anesthesia machine, E-Z Systems patented an innovative breathing interface for rodents that is part of every breathing device we offer. Another innovation included our stainless steel water-heated surgical beds, a durable heated surface providing gentle water heat. 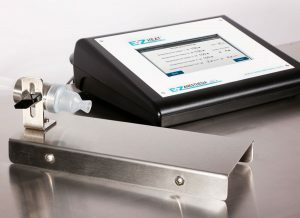 In 2010, we introduced the next generation of the E-Z Anesthesia product line. We updated our previous anesthesia system with the EZ-7000 Classic System and added two new system configurations, the EZ-AF9000 Auto Flow System and the EZ-SA800 Single Animal System. With the help of our customers, we continue to innovate and lead the industry with the highest quality equipment offerings. Our NEW E-Z Heat Surgical Bed Warming System is an extremely user-friendly system that allows up to four connected beds to help maintain the patients’ body temperatures during surgical procedures. This patented warming system allows the user to heat the induction chamber and warming beds simultaneously. The warming beds ranges from 85 to 104 degrees Fahrenheit. Bed temperatures can be adjusted in the administrator options. Each of the warming circuits displays the elapsed time and the set temperature, which can be set individually. All settings made in the administrator options are password-protected to ensure total security from tampering individuals. The heating bed also allows the option to mount our Microflex Breather and works in perfect harmony with all E-Z Anesthesia systems.